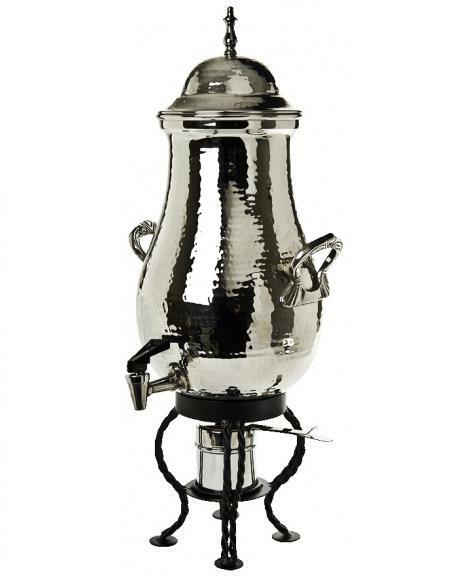 25 cup, Hammered Steel Coffee Urn. Includes sterno holder to keep coffee warm. * Please call us with any questions about our coffee urn hammered steel 25 cup rentals in Columbia and Jefferson City MO.